N ° 6 filling heads, mod. RTALS-6, max production 800 b/h. N° 9 filling heads, mod. RTALS-9, max production 1.200 b/h. N° 12 filling heads, mod. RTALS-12, max production 2.000 b/h. Provided with star-wheels and cochlea, orientator for corks, stainless steel AISI 304 conveyor belt and safety guards on access doors. Stainless steel frame mounted on adjustable feet for easy positioning. Visible parts in stainless steel AISI 304. Electronic speed control by an inverter. Security device on the star-wheels and on the cochlea to stop the machine in case of failure to prevent breakage of bottles. 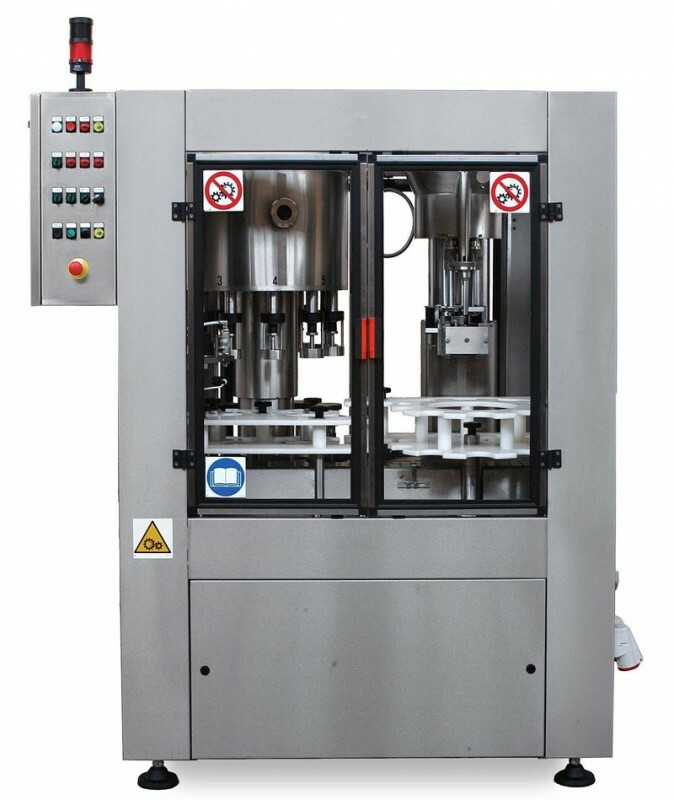 Photocell for automatic start positioned at the entrance of the machine, no bottles – no start. Photocell, positioned at the exit, in case of overflow, stops the machine. Automatic restart. Plc and touch screen for operation management. Mechanical lifting system for the bottles with cam. 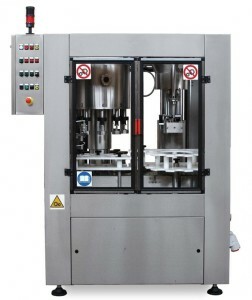 Different volumes of filling achieved by adding or removing spacers supplied with the machine. Closure head made of hardened, ground and polished steel, to ensure maximum durability and efficiency. Hopper for loading cork mounted on top of the turret.